I think it’s time to share my top-secret fat burner with you. I had the pleasure of reviewing The AM/PM Burn from BPM Labs and the results I have acquired over four weeks is phenomenal and practically unbelievable. It’s not that I don’t believe in fat burners, sometimes not all of them work and then we don’t see the desired results. The fitness industry is a trial and error journey, especially for the newbies who are starting out. Over the last four weeks, I recorded my weight every Monday morning, at the same time and after a bathroom visit for consistency. Before I started drinking The AM/PM Burn I weighed in at 53.7kg. Don’t get me wrong; I am not overweight for my age or height, but to become fitness model/competitor ready I need to drop as much fat as I possibly can. Unfortunately, for us girls, we hold a lot of fat in our thighs, bottoms, and stomachs. That’s just life! 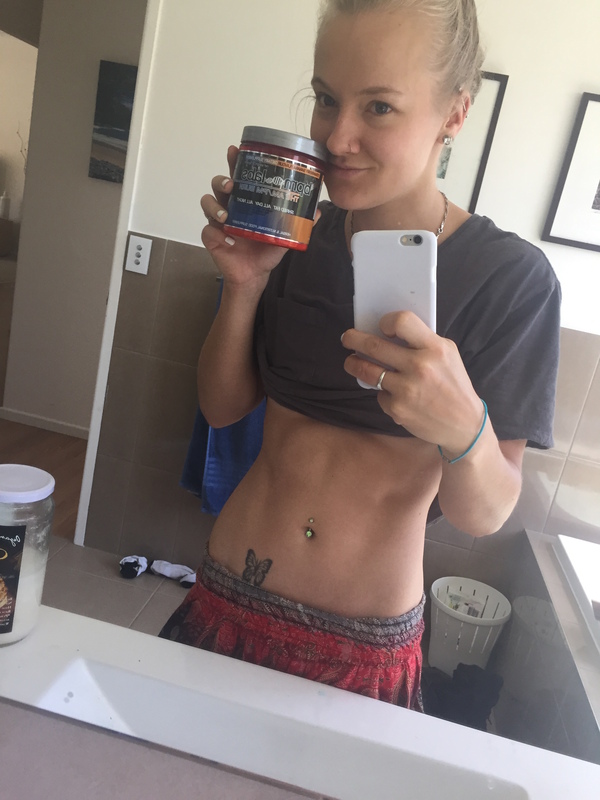 I was a bit skeptical when first taking this product because I just assumed it was like all the other fat burners out there … Currently, I’m shocked at the results. And now, I am The AM/PM Burn BELIEVER! I decided to focus solely on my fitness for the four weeks of drinking this product, and that meant forcing myself through high-intensity cardio sessions. Monday morning of week one I weighed myself and it read 52.9kg. I was ecstatic with this weight for a one-week weigh-in. It’s been a long time since I’ve seen the 52’s. It was clearly working wonders for my body. This week was a tough one, I had scheduled a cheat day for the following Monday and after seeing my weight decrease again, I was torn between rewarding my body or stressing it out even more because of the progress. The definition I was seeing made me question the cheat day. I weighed in at 51.9kg; my reaction was similar to a child at Christmas time. I had dropped 2kg in 2 weeks, which was fantastic considering I have a lot of stubborn fat and my body holds water like we are going through a drought. You guessed it! CHEAT DAY. I decided that I deserved one, and my body would thank me for it, and I thought it would be good to test how well The AM/PM worked to burn the fat I consumed that day. You can imagine the amount I ate: 500g of carbs and 240g of fats. Technically, that’s nearly doubled my carbs for the day and seven times over my fat limit. That night I weighed in at 54kg. Sadly, I weighed more than what I started with, but I didn’t concern me. Usually, when I have a cheat day, I take one step back and then four steps forward. My body is appreciative for the replenishment. I still went to the gym and completed a solid chest session, especially since I was all carbed up! I weighed in the next day at 52.9kg, so my cheat day didn’t do too much damage. 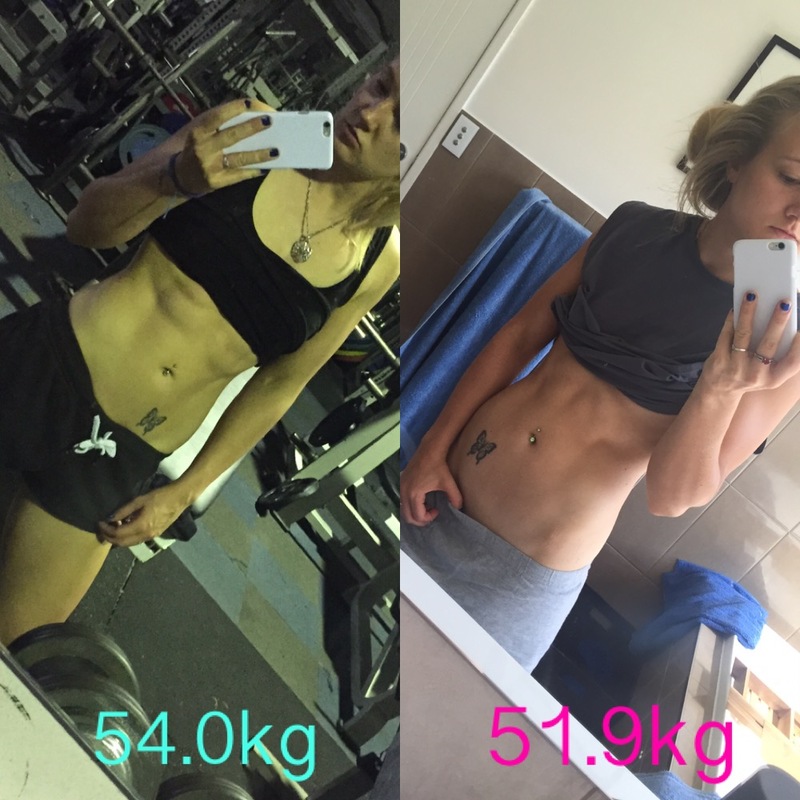 This was the challenge week to see if I could get back to 51.9kg and surprisingly I did! I couldn’t be happier with this product. It has responded amazingly with my routine. Remember, consistency is key when it comes to fat burners. You can’t eat a regular diet and refuse to take part in exercise and expect it to work. So, what are the specifics of The AM/PM Burn? And much more. This product has 0kj, so if you’re counting your calories, this won’t affect your intake. The flavour is Strawberry Banana; it takes a bit of getting used to, but just remember we’re not supposed to take a supplement for the taste, it’s for the result! And once you start seeing results you won’t worry about taste, because all that matters is, does it work? Where can you buy this incredible product? Any supplement shop that stocks it. PSI Distribution and some local Mass Nutrition stores stock this product (not available online). Overall, I would 100% recommend this product to anyone trying to lose water weight and stubborn fat. I’m already on my second tub and would happily buy another. Let me know your results with The AM/PM Burn! If you enjoyed reading this post, then check out BPM Labs EstroBlok. What times did you find it was best to take this supplement ? As soon as you wake up and just before you go to bed would you recommend ?